The time is NOW! Berries are available now through the beginning of fall. 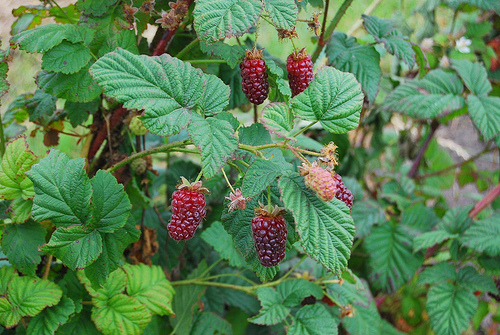 If you are growing a berry bush, i.e. raspberries or blackberries, you might have seen them already on your vines. But peak time does vary depending on the berry. Strawberries and blueberries are at their peak now, while blackberries and raspberries will be at their peak in August going into the fall. These fruits are great raw or cooked, especially as a pie. Among the first people to appreciate these fruits were Native Americans, who ate them, cooked them, dried them for adding to winter soups and stews, and even used them as medicines, dyes, and food preservatives. I know lots of folks who start their veggie and flower gardens by spraying pesticides in their yard to prevent the insects from eating their plants. BUT, you are also exposing yourself and others to poisonous chemicals by killing these bugs. By not spraying pesticides, you will get “bad” bugs, but also attract “good” bugs. Part of this process is having the right plants to attract the beneficial insects to your garden, such as, yarrow, dill, feverfew, lavender, lemon balm, parsley, sunflowers, spearmint, fennel, white sage. Understand that any wildflowers native to your region will work! Weeds in your yard? Don’t worry they might be edible! I recently attended a garden tour of an organic garden with weeds. I took photos so I wouldn’t forget and have posted some common one that you would find in the Long Beach area. Many know the dandelion is all edible. I’ve even seen it sold at a local farmer’s market. It can be bitter, but edible. A recent website also focuses on edible weeds. 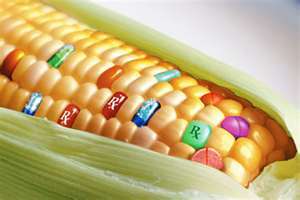 Several years ago I received the book Seeds Of Deception by Jeffrey Smith and was dismayed, to say the least, at the frequency of genetically modified organisms (GMO’s) in the food we eat. What upsets me even more is that manufactures don’t even have to label it on the package or tell us that the potato we eat might be modified with a fungicide in it. On a recent trip, I found an article in a local paper discussing the need to buy organic strawberries. Most of us know that non-organic berries are more likely to absorb (non-organic) fertilizers and pesticides. In fact, out of most of the fruits and veggies, they rank number one. See the dirty dozen at the Environmental Working Group .